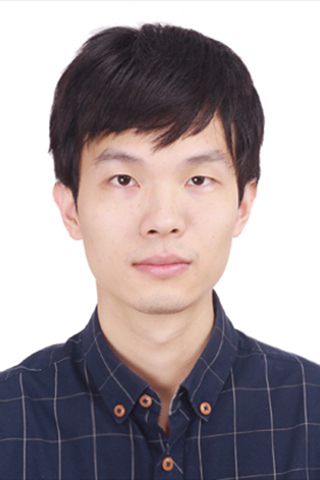 Shaowu Liu received his doctorate from Deakin University in the field of machine learning. He is currently a postdoctoral research fellow at University of Technology Sydney. His research interests include behavioural analytics, personalized recommendation and predictive modelling in financial and health sectors. © 2018, © 2018 Informa UK Limited, trading as Taylor & Francis Group. With the advent of Industry 4.0, cloud computing techniques have been increasingly adopted by industry practitioners to achieve better workflows. One important application is cloud-based decision-making, in which multiple enterprise partners need to arrive an agreed decision. Such cooperative decision-making problem is sometimes formed as a weighted voting game, in which enterprise partners express 'YES/NO' opinions. Nevertheless, existing cryptographic approaches to Cloud-Based Weighted Voting Game have restricted collusion tolerance and heavily rely on trusted servers, which are not always available. In this work, we consider the more realistic scenarios of having semi-honest cloud server/partners and assuming maximal collusion tolerance. To resolve the privacy issues in such scenarios, the DPWeVote protocol is proposed which incorporates Randomized Response technique and consists the following three phases: the Randomized Weights Collection phase, the Randomized Opinions Collection phase, and the Voting Results Release phase. Experiments on synthetic data have demonstrated that the proposed DPWeVote protocol managed to retain an acceptable utility for decision-making while preserving privacy in semi-honest environment. © 2017, The Author(s). In the Acknowledgements section, the Grant Number should be 61673201 instead of 61273301. © 2016 The Author(s) A preference relation-based Top-N recommendation approach is proposed to capture both second-order and higher-order interactions among users and items. Traditionally Top-N recommendation was achieved by predicting the item ratings first, and then inferring the item rankings, based on the assumption of availability of explicit feedback such as ratings, and the assumption that optimizing the ratings is equivalent to optimizing the item rankings. Nevertheless, both assumptions are not always true in real world applications. The proposed approach drops these assumptions by exploiting preference relations, a more practical user feedback. Furthermore, the proposed approach enjoys the representational power of Markov Random Fields thus side information such as item and user attributes can be easily incorporated. Comparing to related work, the proposed approach has the unique property of modeling both second-order and higher-order interactions among users and items. To the best of our knowledge, this is the first time both types of interactions have been captured in preference-relation based methods. Experimental results on public datasets demonstrate that both types of interactions have been properly captured, and significantly improved Top-N recommendation performance has been achieved. © 2013, © 2013 Taylor & Francis. We found an interesting relation between convex optimization and sorting problem. We present a parallel algorithm to compute multiple order statistics of the data by minimizing a number of related convex functions. The computed order statistics serve as splitters that group the data into buckets suitable for parallel bitonic sorting. This led us to a parallel bucket sort algorithm, which we implemented for many-core architecture of graphics processing units (GPUs). The proposed sorting method is competitive to the state-of-the-art GPU sorting algorithms and is superior to most of them for long sorting keys. Sleep stage identification is the first step in modern sleep disorder diagnostics process. K-complex is an indicator for the sleep stage 2. However, due to the ambiguity of the translation of the medical standards into a computer-based procedure, reliability of automated K-complex detection from the EEG wave is still far from expectation. More specifically, there are some significant barriers to the research of automatic K-complex detection. First, there is no adequate description of K-complex that makes it difficult to develop automatic detection algorithm. Second, human experts only provided the label for whether a whole EEG segment contains K-complex or not, rather than individual labels for each subsegment. These barriers render most pattern recognition algorithms inapplicable in detecting K-complex. In this paper, we attempt to address these two challenges, by designing a new feature extraction method that can transform visual features of the EEG wave with any length into mathematical representation and proposing a hybrid-synergic machine learning method to build a K-complex classifier. The tenfold cross-validation results indicate that both the accuracy and the precision of this proposed model are at least as good as a human expert in K-complex detection. © 1998-2012 IEEE. Rapid growth of technical developments has created huge challenges for microphone forensics - a subcategory of audio forensic science, because of the availability of numerous digital recording devices and massive amount of recording data. Demand for fast and efficient methods to assure integrity and authenticity of information is becoming more and more important in criminal investigation nowadays. Machine learning has emerged as an important technique to support audio analysis processes of microphone forensic practitioners. However, its application to real life situations using supervised learning is still facing great challenges due to expensiveness in collecting data and updating system. In this paper, we introduce a new machine learning approach which is called One-class Classification (OCC) to be applied to microphone forensics; we demonstrate its capability on a corpus of audio samples collected from several microphones. In addition, we propose a representative instance classification framework (RICF) that can effectively improve performance of OCC algorithms for recording signal with noise. Experiment results and analysis indicate that OCC has the potential to benefit microphone forensic practitioners in developing new tools and techniques for effective and efficient analysis. © 2012 Academy Publisher. exibility in modeling di erent geometrical shapes, sound theoretical properties, and availability of numerically stable algorithms [9,10,26]. In this work we examine parallelization and adaptation for GPUs of a few algorithms of monotone spline interpolation and data smoothing, which arose in the context of estimating probability distributions. approximately equal size, so that these chunks could be sorted independently and subsequently concatenated. In order to do that, empirical CDF of the data was used to nd the quantiles, which served to partition the data. CDF was estimated from the data based on a number of pairs (xi; yi); i = 1; : : : ; n, where yi was the proportion of data no larger than xi. As data could come from a variety of distributions, a distribution-free nonparametric fitting procedure was required to interpolate the above pairs. Needless to say the whole process was aimed at GPU, and hence the use of CPU for invoking serial algorithms had to be minimized. Knowing people's personalities is useful in various real-world applications, such as personnel selection. Traditionally, we have to rely on qualitative methodologies, e.g. surveys or psychology tests to determine a person's traits. However, recent advances in machine learning have it possible to automate this process by inferring personalities from textual data. Despite of its success, text-based method ignores the facial expression and the way people speak, which can also carry important information about human characteristics. In this work, a personality mining framework is proposed to exploit all the information from videos, including visual, auditory, and textual perspectives. Using a state-of-art cascade network built on advanced gradient boosting algorithms, the result produced by our proposed methodology can achieve lower the prediction errors than most current machine learning algorithms. Our multimodal mixture density boosting network especially perform well with small sample size datasets, which is useful for learning problems in psychology fields where big data is often not available. Underwriting is an important stage in the life insurance process and is concerned with accepting individuals into an insurance fund and on what terms. It is a tedious and labour-intensive process for both the applicant and the underwriting team. An applicant must fill out a large survey containing thousands of questions about their life. The underwriting team must then process this application and assess the risks posed by the applicant and offer them insurance products as a result. Our work implements and evaluates classical data mining techniques to help automate some aspects of the process to ease the burden on the underwriting team as well as optimise the survey to improve the applicant experience. Logistic Regression, XGBoost and Recursive Feature Elimination are proposed as techniques for the prediction of underwriting outcomes. We conduct experiments on a dataset provided by a leading Australian life insurer and show that our early-stage results are promising and serve as a foundation for further work in this space. Recently, social network websites start to provide third-parity sign-in options via the OAuth 2.0 protocol. For example, users can login Netflix website using their Facebook accounts. By using this service, accounts of the same user are linked together, and so does their information. This fact provides an opportunity of creating more complete profiles of users, leading to improved recommender systems. However, user opinions distributed over different platforms are in different preference structures, such as ratings, rankings, pairwise comparisons, voting, etc. As existing collaborative filtering techniques assume the homogeneity of preference structure, it remains a challenge task of how to learn from different preference structures simultaneously. In this paper, we propose a fuzzy preference relation-based approach to enable collaborative filtering via different preference structures. Experiment results on public datasets demonstrate that our approach can effectively learn from different preference structures, and show strong resistance to noises and biases introduced by cross-structure preference learning. We build an ubiquitous abnormal activity detection system, namely NotiFi, for accurately detecting the abnormal activities on commercial off-the-shelf (COTS) IEEE 802.11 devices. In contrast to the traditional wearable sensor based and computer vision based systems which require additional sensors or enough lighting in line-of-sight (LoS) scenario, we proceed directly with abnormal activity characterization and activity modeling at the WiFi signal level based on Channel State Information (CSI). The intuition of NotiFi is that whenever the human body occludes the wireless signal transmitting from the access point to the receiver, the phase and the amplitude information of Channel State Information (CSI) will change sensitively. By creating a multiple hierarchical Dirichlet processes, NotiFi automatically learns the number of human body activity categories for abnormal detection. Experimental results in three typical indoor environments indicate that NotiFi can achieve satisfactory performance in accuracy, robustness and stability. User preference prediction aims to predict a users future preferences on a large number of items according to his/her preference history. To achieve this goal, many models have been proposed, but mainly for explicit preference data, such as 5-star ratings. Nevertheless, real-world data are often in implicit format, such as purchase action, and the number of items is not always large. In this paper, we demonstrate the use of latent factor models for solving the task of predicting user preferences on implicit and low-dimensional dataset. Life insurance application requires in-person meetings with underwriters, tedious paperwork, and an average waiting period of six weeks before an offer can be made. This outdated process has become a barrier for broader consumer adoption, resulting large coverage gap. In this work, we aim to closing this gap by leveraging data mining techniques to optimize the insurance questionnaire form. Our experiment on 10 years of insurance application data has identified that only ~2% of all questions have shown high relevancy to determining the risks of applicants, resulting a significantly simplified questionnaire. Liu, S., Li, G., Tran, T. & Jiang, Y. 2015, 'Preference relation-based Markov random fields for recommender systems', ACML 2015 - 7th Asian Conference on Machine Learning, pp. 157-172. © 2015 S. Liu, G. Li, T. Tran & Y. Jiang. A preference relation-based Top-N recommendation approach, PrefMRF, is proposed to capture both the second-order and the higher-order interactions among users and items. Traditionally Top-N recommendation was achieved by predicting the item ratings first, and then inferring the item rankings, based on the assumption of availability of explicit feedbacks such as ratings, and the assumption that optimizing the ratings is equivalent to optimizing the item rankings. Nevertheless, both assumptions are not always true in real world applications. The proposed PrefMRF approach drops these assumptions by explicitly exploiting the preference relations, a more practical user feedback. Comparing to related work, the proposed PrefMRF approach has the unique property of modeling both the second-order and the higher-order interactions among users and items. To the best of our knowledge, this is the first time both types of interactions have been captured in preference relation-based method. Experiment results on public datasets demonstrate that both types of interactions have been properly captured, and significantly improved Top-N recommendation performance has been achieved. A preference relation-based Top-N recommendation approach, PrefMRF, is proposed to capture both the second-order and the higher-order interactions among users and items. Traditionally Top-N recommendation was achieved by predicting the item ratings fi rst, and then inferring the item rankings, based on the assumption of availability of explicit feed-backs such as ratings, and the assumption that optimizing the ratings is equivalent to optimizing the item rankings. Nevertheless, both assumptions are not always true in real world applications. The proposed PrefMRF approach drops these assumptions by explicitly exploiting the preference relations, a more practical user feedback. Comparing to related work, the proposed PrefMRF approach has the unique property of modeling both the second-order and the higher-order interactions among users and items. To the best of our knowledge, this is the first time both types of interactions have been captured in preference relation-based method. Experiment results on public datasets demonstrate that both types of interactions have been properly captured, and signifi cantly improved Top-N recommendation performance has been achieved. The Android platform uses a permission system model to allow users and developers to regulate access to private information and system resources required by applications. Permissions have been proved to be useful for inferring behaviors and characteristics of an application. In this paper, a novel method to extract contrasting permission patterns for clean and malicious applications is proposed. Contrary to existing work, both required and used permissions were considered when discovering the patterns. We evaluated our methodology on a clean and a malware dataset, each comprising of 1227 applications. Our empirical results suggest that our permission patterns can capture key differences between clean and malicious applications, which can assist in characterizing these two types of applications. Vu, H, Liu, S, Li, Z & Li, G 2011, 'Microphone Identification using One Class-Classification Approach', The 2nd Workshop on Applications and Techniques in Information Security, International Conference on Applications and Techniques in Information Security (ATIS), Melbourne, Australia, pp. 30-37. Rapid growth of technical developments has created huge challenges for microphone forensics -a sub-category of audio forensic science, because of the avail-ability of numerous digital recording devices and massive amount of recording data. Demand for fast and efficient methods to assure integrity and authenticity of information is becoming more and more important in criminal inves-tigation nowadays. Machine learning has emerged as an important technique to support audio analysis processes of microphone forensic practitioners. However, its application to real life situations using supervised learning is still facing great challenges due to expensiveness in collecting data and updating system. In this paper, we introduce a new machine learning approach which is called One-class Classification (OCC) to be applied to microphone forensics; we demonstrate its capability on a corpus of audio samples collected from several microphones. Research results and analysis indicate that OCC has the potential to benefit microphone forensic practitioners in developing new tools and techniques for effective and efficient analysis.